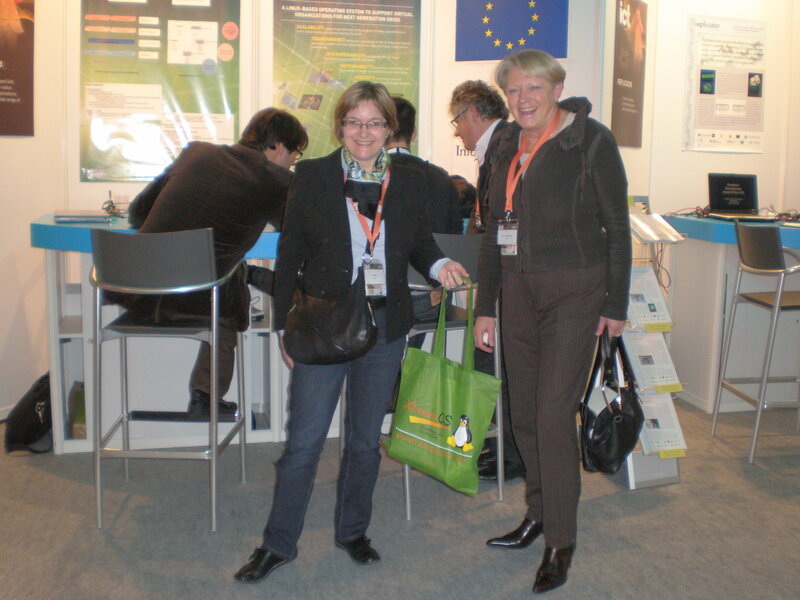 Last weeks were quite hectic for XtreemOS in terms of communication, dissemination and visibility: we had a booth at SC'08 and another one at IC2008 event. 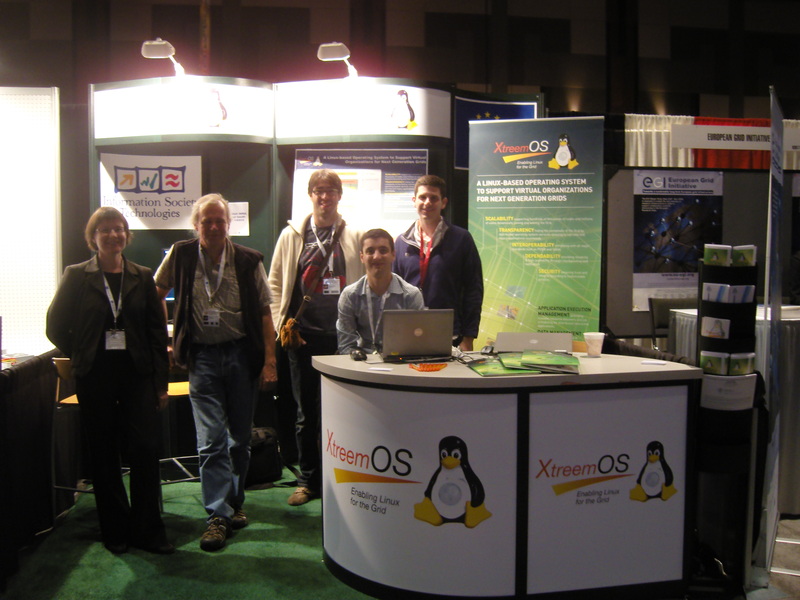 It was the first time XtreemOS had a stand-alone booth at Supercomputing conference (last year, XtreemOS was hosted on INRIA's booth) and our first participation in an ICT event too. It was a great success and XtreemOS attracted plentiful visitors interested in learning more about the project and who wanted to have further technical explanations about our soon-to-be-released open source software suite. The smooth running of demos also greatly contributed to the attractiveness of the XtreemOS exhibition spaces. This was also a welcome opportunity to meet other communities and key persons from the Linux-, OS- and open source communities...and maybe initiate collaborations / joint investigations! We were happily surprised to know that most of the visitors had already heard of XtreemOS before coming to these events! Next XtreemOS booth: ISC'08 (June 2009) and SC'09 (November 2009) - Mark your calendar!